Gail Straub, a leader in the human potential field, had helped thousands around the world find meaning and purpose in their lives, all the while sensing that something fundamental within her was missing. 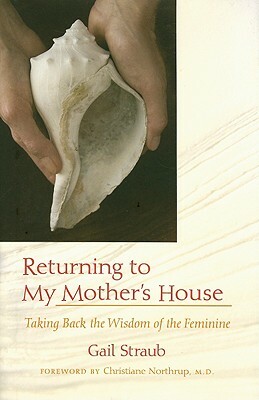 Many years after the premature death of her mother, she undertook a period of soul searching and came to believe that, like her mother and so many women of our time, she had overcorrected in the direction of the masculine, her "successful" life of outer accomplishment and committed social activism having come at the expense of a rich and satisfying inner life.Her search took her around the globe--to Africa, Bali, Russia, China, and Ireland--where she encountered the longing to retrieve sacred female wisdom among the women she met. Finding her way back to her innate female wisdom restored a sense of balance between external and internal worlds, activism and contemplation, and public and private realms and gave her a sense of equanimity that had eluded her for decades. Gail's poetic and heartfelt story is for anyone who has ever struggled to build and sustain an interior life in our driven and fast-paced society--and for mothers and daughters everywhere.